With the weather warming up for a glorious season filled with beach days, picnics in the park and nights out with friends, Barcelona is certainly the place to be for an unforgettable summer! From stunning Gaudí architecture to fantastic festivals to boat tours, there’s plenty to see and do this summer in Barcelona. Here we give you a short guide to just some of the activities, events and accommodation on offer in the Catalan capital, helping you to make the most of your summer in Barcelona. 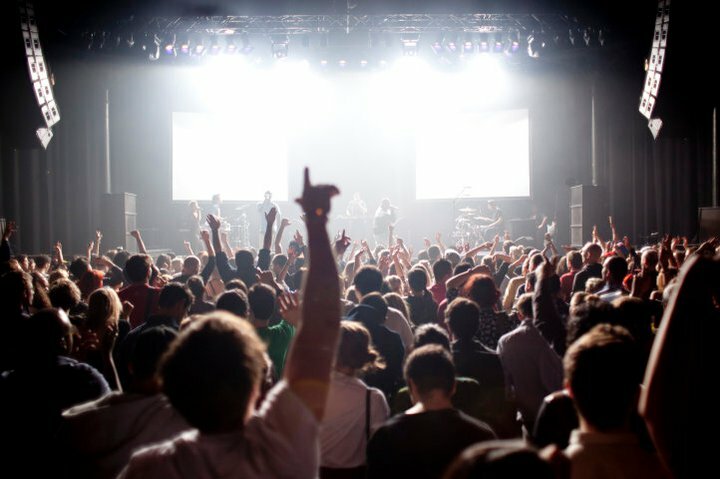 Whether you are an electronic music expert or have never heard of this trending music genre, the annual Sónar music festival is not to be missed. The festival will unite music lovers from near and far from June 14-16th, offering spectacular performances by some big artists such as Laurent Garnier and Richie Hawtin. For more information on the festival’s activities, lineup and transportation to the event, visit the Sónar Music Festival website. 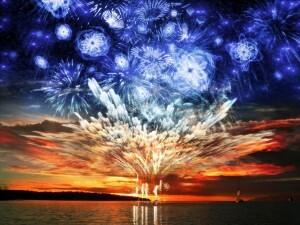 An exposition of color is about to hit Barcelona on the evening of June 23 as the city begins its celebrations for Saint John’s Day on June 24. Fireworks light up the beautiful Barcelona sky, bonfires are dotted all over the beaches and massive parties take place in the best clubs in the city as this all-night fiesta kicks off the summer with a bang (literally). Looking to immerse yourself in the arts of dance, theatre, music and circus from all over the world? Look no further because the yearly El Grec Festival is sure to impress, with shows taking place at a variety of venues in Barcelona throughout the entire month of July. A series of family performances in the MiniGrec addition to the festival this year provide entertainment for all ages. For more information and tickets, visit the Grec Festival Website. Get ready for one of the biggest block-party experiences you’ve ever seen at this week-long fiesta in Barcelona. Residents and visitors alike flock to the neighborhood of Gràcia each year from August 15th-21st to experience the fun festivities at this cool festival, including human towers (known as ‘castellers’) lively folk dancing and exciting fire-runs. The Festa Major de Gràcia’s most popular attraction is the ‘Best Decorated Street’ competition, where colorful homemade decorations adorn around 19 streets and plaças. Don’t forget to grab one of the delicious mojitos sold on every corner for the most perfectly refreshing summer night treat. A trip to Barcelona would not be complete without a visit to Gaudí’s marvelous Park Güell. With some of the most breathtaking architecture in the city, plenty of green space and magnificent panoramic views of Barcelona, there’s no better place to enjoy a picnic this summer than at this beautiful park. Local nightlife in Barcelona is known to be some of the best in Europe, and if you’re visiting this beautiful city during summer, then a drink at one of the ‘chiringuito’ beach bars is a must. Sunsets at these typical shacks on the sand are amazing, as live DJs and beach parties rock the shore. But if you’re visiting during the day, then you can relax here with a delicious snack and refreshing cocktail, perfect for cooling down. For the ultimate club experience, check out Shôko and Opium at the Olympic Village, one of the best nightlife spots in Barcelona If you’re looking for a more a relaxed setting, we recommend grabbing a drink at one of the many terrace bars in Barcelona. Sunset Lounge Bar at Via Laietana, 24, ensures a chill out vibe with stunning views extending all the way to the Med. The Catalan capital can have scorching summer days that call for some scrumptious treats to cool you down. Choices of toppings and flavours at the many ice cream parlours in Barcelona are endless, giving even the pickiest of eaters something to indulge in. 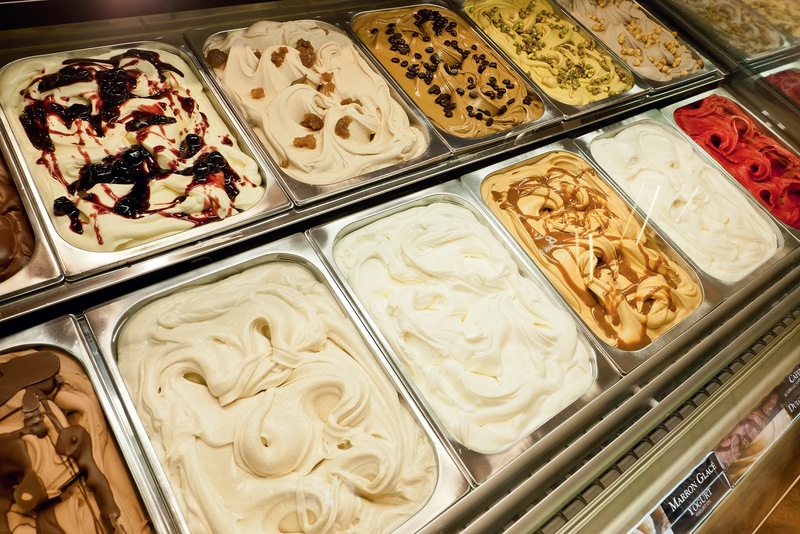 Amorino has ice cream parlors nestled throughout the city, providing some delicious and authentic treats. When looking for a quirky ice cream adventure, we recommend heading over to Eyescream and Friends on Passeig de Joan de Borbó. Here you’ll find some unusual flavours and a few edible additions, perfect for those looking to try something different. Just 30 minutes away from Barcelona by train you’ll find the perfect escape from the city. Whether you want to visit a local village, stroll through the pine forest or lay out on the beach for a relaxing afternoon, a getaway in the beautiful region of Maresme makes for a great day trip. The ideal destination for the whole family, it has a marine zoo, plenty of play parks, and a water park, too. To start your one-day getaway, all you have to do is jump on the Renfe Cercanías train. The crisp Barcelona air, cool waves of the Mediterranean and the sunshine set the background for a tour of the city that’s sure to be memorable. 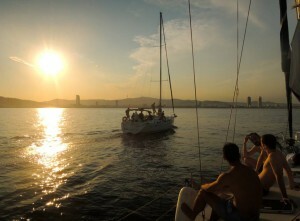 Skyline BCN offers unforgettable sailing tours, coastal jet ski excursions and so much more. Why not take in the views of the Sagrada Familia, Olympic Games HQ, Frank Gehry’s Golden Fish and much more from the Med? Take a look at their website for more information. Barcelona’s beaches host a variety of activities and attractions for everyone to enjoy a summer’s day out. Barceloneta Beach offers volleyball and table tennis along the coast and some of the best seafood restaurants in the city. While at the beaches in Bogatell and Nova Icària, you can relax by the shore or enjoy a glass of Sangria at one of the many chiringuitos. 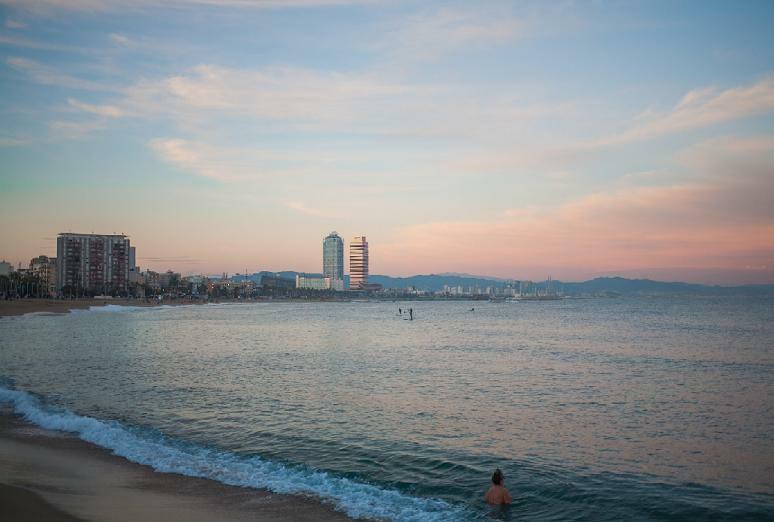 Head to Mar Bella Beach, which is Barcelona’s designated nudist beach – although coming in your birthday suit is obligatory – and a great place to do some water sports, including windsurfing and kayaking. The possibilities are endless when it comes to a summer in Barcelona. Indulging in tasty treats at the ‘heladerías’, appreciating the magnificent Gaudí architecture or dancing the night away at a Sant Joan party, all prove to guarantee unforgettable memories. As for your accommodation, make your summer perfect by renting a beach apartment in Barcelona. 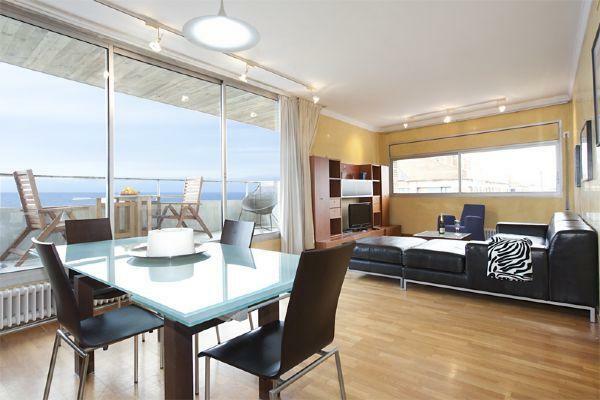 Here you can enjoy a comfortable home-away-from-home in Vila Olímpica, Barceloneta or Diagonal Mar, ensuring you can enjoy your summer getaway in Barcelona to the fullest! This entry was posted in Activities, Bars & Nightlife, Events, Home and tagged barcelona, Barcelona accommodation, barcelona activities, barcelona apartments, barcelona beaches, Barcelona culture, barcelona events, Barcelona festival, barcelona festivals, Barcelona food, barcelona food and drink, barcelona music, barcelona neighborhoods, barcelona nightlife, barcelona tourist guide, barcelona traditions, Gaudi, gaudi architecture, summer in barcelona, things to do in barcelona, tourism in barcelona, travelling around barcelona, visiting barcelona. Bookmark the permalink.